As we sit here in the late days of May we give the NFL the week off. Jonders (@JondersFPT) invites his pals Big Rich (@Rgreasons) and Rossdawg (@RossdawgFPT) to go over the latest Nintendo rumors and their Nintendo E3 predictions. by jonders - Xenoblade Chronicles 2 is an action-packed JRPG, a lovely anime and a delightful vacation with amazing jaw-dropping sights. Packed into the tiny Switch cartridges. The game starts with Rex, a young man who is trying to find his place in his world, diving into the Cloud Sea sifting through the trash to find hidden treasure. Rex, who much of the story is told through, is nothing but an optimist. Rex doesn't see the negative in any situation. He isn't interested in the negative. Rex is only interested in the positive he focuses on how to make bad situations better. The first two things you learn about Rex is that he is a salvager by profession and that the money makes is sent it back home to family. Rex is the perfect lead for the adventure you'll embark on for the next 70 hours plus. Pretty quickly into the story, you meet Rex's "Blade", Pyra. Blades are mostly immortal beings who are born with great powers that humans can draw from. The Blade/human relationship is complex and delicate. It's this relationship, most of the game's drama is drawn from. It's somewhat derivative of the X-Men franchise. Mostly humanoid powerful beings struggling with their role in the world. Feeling as though they are the second-class citizens to humans. Although parallels to the X-Men franchise can be made, the story is still fresh and original enough and is told in such a way that even the most dedicated X-Men fan will still find interesting wrinkles in Xenoblade Chronicles 2's narrative. Pyra is one of the most power Blades in the game. This, of course, leads to the main conflict of the game as bad guys want to use her power for themselves. For the most part, boss battles are against two main villains. Xenoblade Chronicles 2 does a great job of creating different circumstances for these fights. Which delivering spectacular cutscenes that advance the story in satisfying ways. Your team is infused with characters filled with depth. The first character you meet after Rex is his "Gramps". Gramps is the cool old wise dude in your crew who knows EVERYTHING. But much like Rex's optimism, Gramps being a know it all never gets annoying because it too comes from a place of sincerity. Next, you meet Nia, who is a young woman, roughly the same age as Rex. Nia has her guard up at first, but she slowly lets it down. After she lets her guard down she is hard not to love. Nia also has her Blade, his name is Dromarch, he is a gentleman and a lion. Then there is also Tora and his partner Poppi, these two are the perfect comic relief. They keep the story from getting too serious and are always good for a laugh. As we advance through the story we meet Morag. Who is the Special Inquisitor of the Ardainian Empire. Morag takes her job seriously but is cajoled by and inspired by Rex to help others. One of the most important characters we meet is Vandham. He is the one who teaches Rex and therefore the audience about Blades. Finally, we get to Zeke, or as he likes to be called. "The Zekenator," at first, Zeke seems to be another character whose sole purpose is for comic relief, but as the journey continues Zeke proves to be a complex and interesting figure. Then there is Pyra the crown jewel of the game. Her innocent and kind behavior and the duality of her being one of one of the strongest beings in the universe coupled with her soft-spoken personality is truly remarkable. The world creates numerous places to go but the map system is problematic. Not sure what the development team was thinking with the only maps in the game are either the small circle map on the corner of the screen or a map that covers the same small section of land BUT now covering the whole screen in some sort of half transparency setting so you can still walk around. The workaround I found for this problem was going to the "Skip Travel" portion found in the start menu. Although this works, a better map system would greatly improve the game. To add to the problem the map system when you are set on a quest you are guided by a diamond on the top the screen that is difficult to follow. My biggest problem with the game was the implementation of the "Feild Skills" mechanic. In development, I understand why this was thought of a great idea. Your blades learn skills that help you move past gates that allow you to progress in the story. The problem is the hints given for unlocking these skills are often vague at best and it's super frustrating when you can progress the story because you can't figure out how to teach "Ancient Wisdom" to Dromarch. From my past experience I've always felt reward by these sorts of task, but figuring out how these skills were obtained is annoying and it can take you out of the story. The story is the shining light of this game. The cut scenes for just Chapter One (in which there are 10 of them) push past the 2 hours mark. This game is as much anime as it is a game. Wanting to unlock the next cutscene drove me to play all day and night. It's half love story, half coming of age story that had my full attention from the start to end. The main crux of this game is the effort to make it to Elysium which, which serves as a Graden of Eden. Rex is particularly interested in getting to Elysium, he sees it as a way to end wars and bring about a new era of peace. Initially, Elysium is viewed as a fairy tale by those around Rex but he slowly makes believers out of even his most incredulous of his allies. The Switches underpower capabilities doesn't do it any favors. The game can be played in handheld mode or tabletop mode but it only exacerbates the problem. These issues didn't stand in the way of me enjoying the vast array of locations Xenoblade has to offer though. If you were to watch let's plays or other videos of combat you might think its repetitive, but it is always fun and the game always gives you enough to manage. 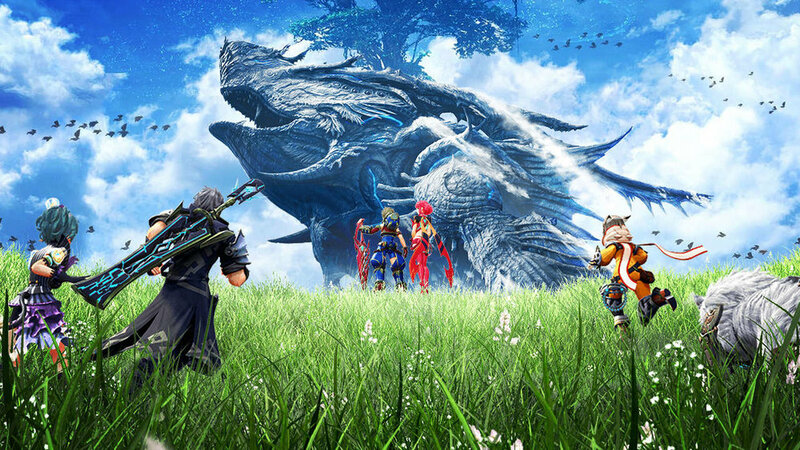 Xenoblade slowly doles out new layers to combat a really enjoyable pace. You always find yourself feeling more powerful. 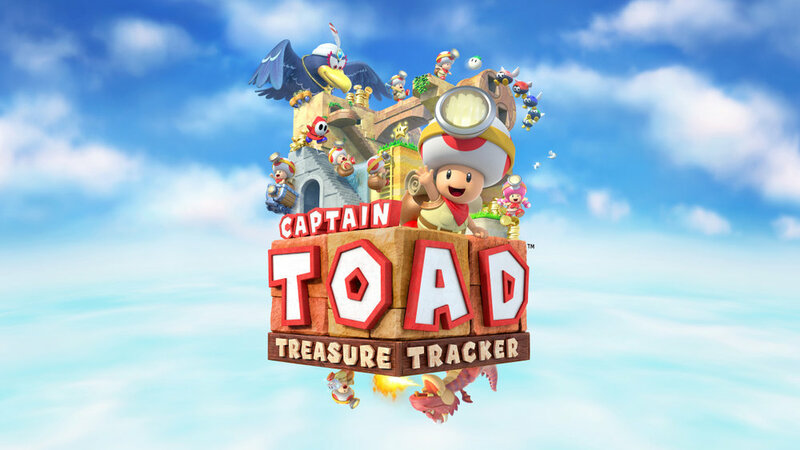 Nintendo puts a cap on their spectacular 2017 by giving us one last gem. Xenoblade Chronicles 2 will offer you upwards of 70 hours of intrigue, laughs and action. For the 100 hours while Rex, Pyra, and co. searched for Elysium, I was already there. Stay up to date with Forward Pass Thinking by following @JondersFPT on twitter!